Wednesday, December 5, 2018 | 6:00 p.m. – 8:15 p.m.
No matter your practice area or whether or not you have previously attended, you won’t want to miss this program. Join us to hear this nationally renowned professor and ethicist address current issues of legal ethics. Programs typically feature distinct topics which are chosen close in time to the event to maximize topicality. The topics are geared to an audience of diverse interests. Audience questions and comments are encouraged. This program will not be taped. You will only have the chance to see it – LIVE! 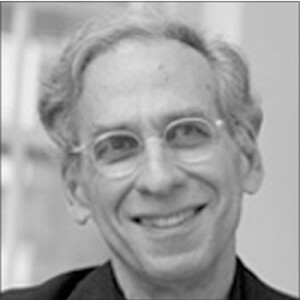 Stephen Gillers is Elihu Root Professor of Law at New York University School of Law, where he has taught since 1978 and served as Vice Dean from 1999 to 2004. He has written widely on legal ethics and has spoken at hundreds of events in the U.S. and abroad. He is the author of Regulation of Lawyers: Problems of Law and Ethics first published in 1985 and now in its 10th edition. From 2000-2002, Professor Gillers was a member of the ABA’s Multijurisdictional Practice Commission. In 2010-2013, he was a member of the ABA’s 20/20 Commission. In 2011, he received the Michael Franck Award from the ABA’s Center for Professional Responsibility. In 2015, he received the American Bar Foundation’s Outstanding Scholar Award. Professor Gillers’ recent scholarship includes “Guns, Fruit, Drugs, and Documents: A Criminal Defense Lawyer’s Responsibility for Real Evidence,” 63 Stan. L. Rev. 813 (2011); “A Profession, If You Can Keep It: How Information Technology and Fading Borders Are Reshaping the Law Marketplace and What We Should Do About It,” 63 Hastings L. J. 953 (2012); “How To Make Rules for Lawyers: The Professional Responsibility of the Legal Profession,” 40 Pepperdine L. Rev. 365 (2013)(Symposium issue on The Lawyer of the Future); “Lowering the Bar: How Lawyer Discipline in New York Fails to Protect the Public,” 17 J. Legis. & Public Policy 485 (2014); and “A Tendency to Deprave and Corrupt: The Transformation of American Obscenity Law from Hicklin to Ulysses II, 85 Wash. L. Rev. 215 (2007). 6:05 pm – 6:20 pm Recusal and Justice Kavanaugh: When “Might [His] Impartiality …Reasonably Be Questioned?” Is He Biased Toward Anyone in Fact? How Recusal Works at the Supreme Court. 6:20 pm – 6:30 pm “It’s Either That or an Orange Jumpsuit” — Was Trump’s Former Lawyer John Dowd a Source for Bob Woodward’s Book “Fear” and So What If He Was? The Tamm Precedent. 7:15 pm – 7:30 pm Candor to the Court: Is That Just a Saying or Does It Mean Anything? 7:30 pm – 7:45 pm Was White House Counsel McGahn Permitted to Disclose Client Confidences to Special Counsel Mueller (if he did)? 8:00 pm – 8:15 pm Former Work Conflicts: What’s That?